Apartment + Pool up to 4 Pers. Townhouse up to 5 Pers. 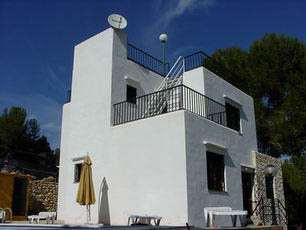 Ibiza Apartment Figueretas 1 A/C "Ibiza"
Apartment + Terrace up to 4 Pers. Penthouse + Pool up to 6 Pers. 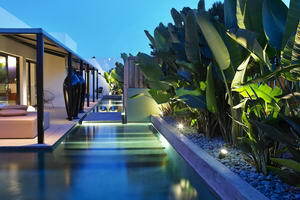 Villa + Pool up to 6 Pers. Finca + Pool up to 8 Pers. Finca up to 6 Pers. Finca + Pool up to 8/10 Pers. Finca + Pool up to 8 + 2Pers. "Near Ibiza Town - Sea Views & Tennis Court"
"1. line @ Golf green"
"Ibiza Town + Ibiza Port "
"Near Ibiza & Sea View"
"Ibiza Town Marina - Boutique Style"
"near Santa Eulalia + Panoramic Seaw View Terrace"
"Near Ibiza & Panoramic Sea View"
"Sea View + near Golf"
"Near Ibiza Town & Seaview"
"Ibiza Town + panoramic views"
"portable soundsystem & walk to the beach"
"Gives Complete Privacy in the Nature"
Villa + Pool up to 4 Pers. Hacienda + Pool up to 12 Pers. "Close to Beach & Golf Course"
Ibiza Finca Monte Verde "Panoramic country & sea views"
Ibiza Villa Puesta del Sol "Panoramic Sea View + Sunset"
Ibiza Finca Can Ino "Minimal Design Finca"
Ibiza Villa Can Suñer "Sea View"
Villa + A/C + Pool up to 5 Pers. 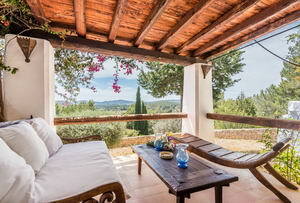 Ibiza Holiday House Monte Vista "Panoramic view over the valley of Santa Ines"
Finca + A/C + Pool up to 6 Pers. 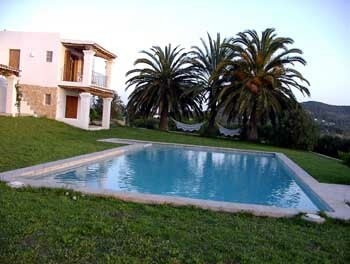 Ibiza Villa Can Jules - "Near Golf"
Ibiza Villa Casa Buenavista "Near Ibiza Town"
Hacienda + A/C + Pool up to 12 Pers. Ibiza Guest House Can Rova + Pool "Yoga & Meditaion"
Ibiza Gästehaus El Patio "Gay friendly "
6 Guest Rooms & Suites with + without private Terrace up to 2/3 Pers. Villas, holiday homes, vacation rentals, rental homes, holiday villas, villa holiday, vacation rentals by owner, vacation villa, villa rentals, vacation rental, vacation rental homes, rental villas, holiday villas, vacation house rentals, private villas and holiday rentals ibiza. 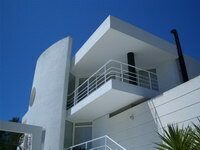 Rental property, villas in ibiza for rent. accommodation ibiza holiday villa - holiday villa ibiza accommodation - private holiday villas ibiza switching - ibiza holiday villas letting - finca holidays ibiza - ibiza finca holidays - vacation villa ibiza - ibiza vacation villa switching - vacation villas ibiza - ibiza vacation villa switching - accommodation ibiza holiday villa - holiday villa ibiza accommodation - private holiday villas ibiza - ibiza holiday villas letting - finca holidays ibiza - ibiza finca holidays - vacation villa ibiza - ibiza vacation villa switching - vacation villas ibiza - ibiza vacation villa switching - accommodation ibiza holiday villa - holiday villa ibiza accommodation - private holiday villas ibiza - ibiza holiday villas letting - finca holidays ibiza - ibiza finca holidays - vacation villa ibiza - ibiza vacation villa switching - vacation villas ibiza - ibiza vacation villa switching More Ibiza Villas on request.